Kogi State Handball Association has been lauded over a successful hosting of 2019 Inter Local Government Under 18 and Under 21 (Male and Female) competition in the State. The State Commissioner for Sport, Hon. Salisu Ogwu made this known after an enthralling final at the Sport Complex Phase II Lokongoma, Lokoja Kogi State recently. In his opening remark, Hon. Salisu Ogwu, commended the State Handball executives for springing into action within a short period of assuming office. He said the ministry through the support of the State Government is ready to enhance and sponsor the activities of various Sports sector in the State. Hon. Salisu urged the crop of talents discovered to be hard working and also give priority to their education as both go side by side. 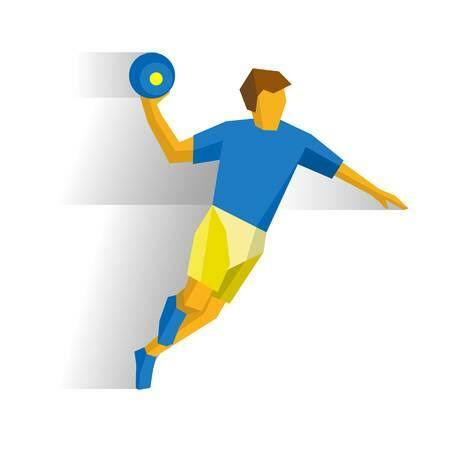 Speaking to pressmen after the competition, the newly appointed Chairman of Kogi State Handball Association, Mr. Jubril Seidu said the competition became urgent as there is need to reposition the sport in the State and build on the past glory. According to him, Handball Federation under his leadership would focus on bringing up hidden talents and make them international stars, while adding that one of the motivation for participating teams is the opportunity to represent Nigeria in international competitions. Earlier in his remark, the Kogi State Director of Sport, Mr. Sunday Daku thanked the handball executives for reviving the handball game across the local government. Mr. Daku pleaded with the State Government to give priority to sports athletes in the State so they will not loose ti other States. The results of the competition are, Omala Under 18 (Female) 1st, 2nd Idah, 3rd Lokoja. Final result Omala 4-2 Idah. Under 18 (Male) 1st Idah, 2nd Lokoja, 3rd Yagba East. Final results Idah 19-8 Lokoja. Under 21 (Female) Winner Idah, won as the only representative for the female category. Under 21 (Male) 1st Ibaji, 2nd Kabba, 3rd Lokoja. Our Kogi State Correspondent reports that the best players in the tournament will be called to camp ahead of the National championship which is expected to kickoff on March 7, 2019 in Lagos.